This 5.5 millon pound building was funded by the European Regional Development Fund. 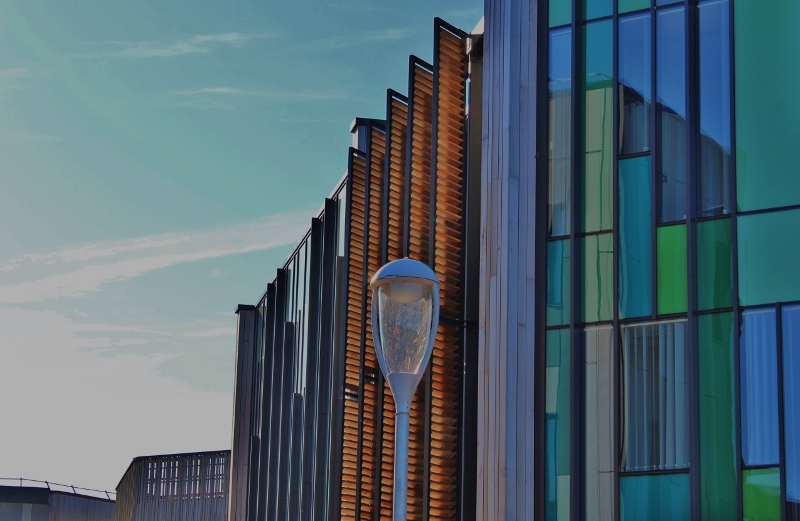 The Catalyst is designed for use by new Creative, IT, Media and Digital companies on York University East Heslington campus. It is a striking building with two huge fronts of blue and green glass panels separated by a centre area of orange louvres. It rather divides local opinion too. I have heard it described as an abomination and a revelation. I rather like it, how about you? Yep, I like it. Modern does not have to mean awful. I like it but I'm not surprised that there is controversy. It gets a 'thumbs up' from me. Nice photo to show it as its best. Looks good to me but I have yet to see it and let's face it there are many people who, whatever the university do, will rise in opposition!